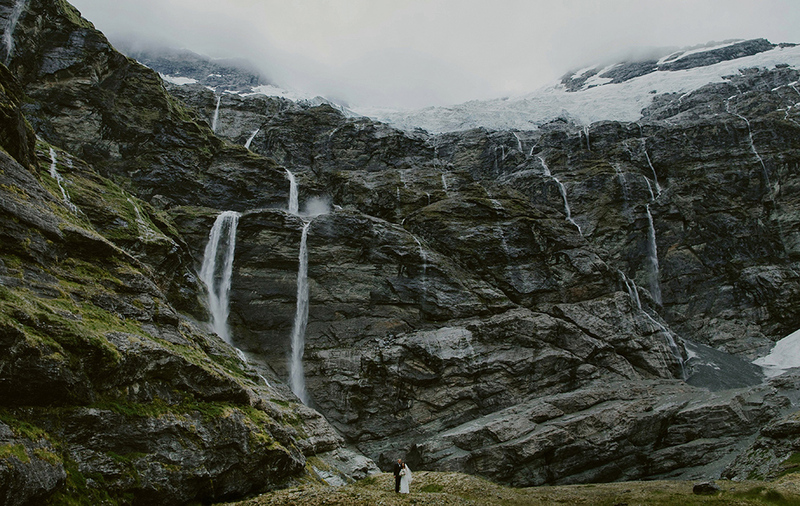 Amit and Sarah chose this ceremony site near Mount Aspiring as it is a very sentimental place to them. They first spent time in the area during a campervan holiday and have visited every year since. 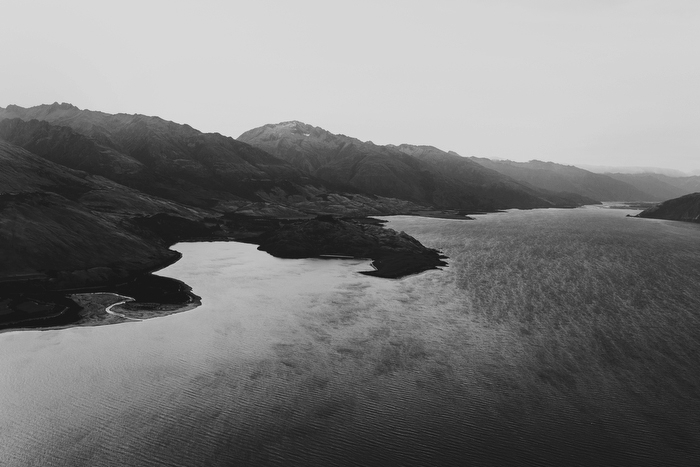 The further they drove into the Matuktuki valley, the more they were drawn to the mountains, rivers and glaciers. The area reminded Amit of the mountains of Nepal where he grew up and triggers something particularly special for him, in fact it was in this area that Amit, in a dream, foresaw that he would be married, which gave him the idea to propose to Sarah. Rain or shine this was the spot they knew they would exchange their vows. 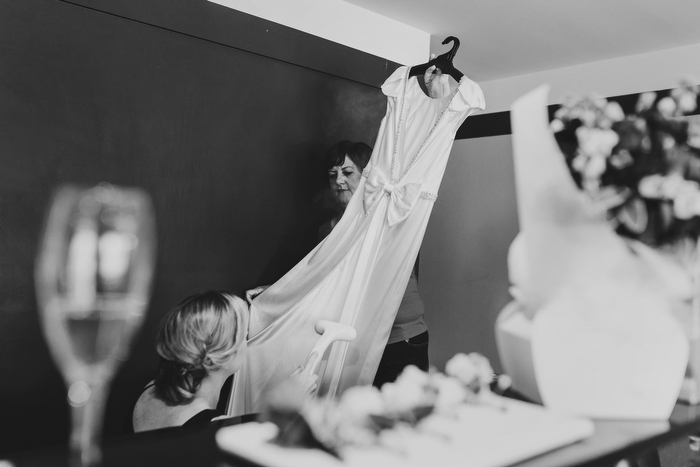 Planner / Styling: One Fine Day, Celebrant: Kathryn Ormond, Hair: Sonja Connor, Ginger Meggs Queenstown, Make up: Emily Plum, Flowers: The Green Room, Dress: Colette Dinnigan, Shoes: self-designed with Shoes of Prey, Helicoper: Alpine Helicopters, Reception: Bistro Gentil.